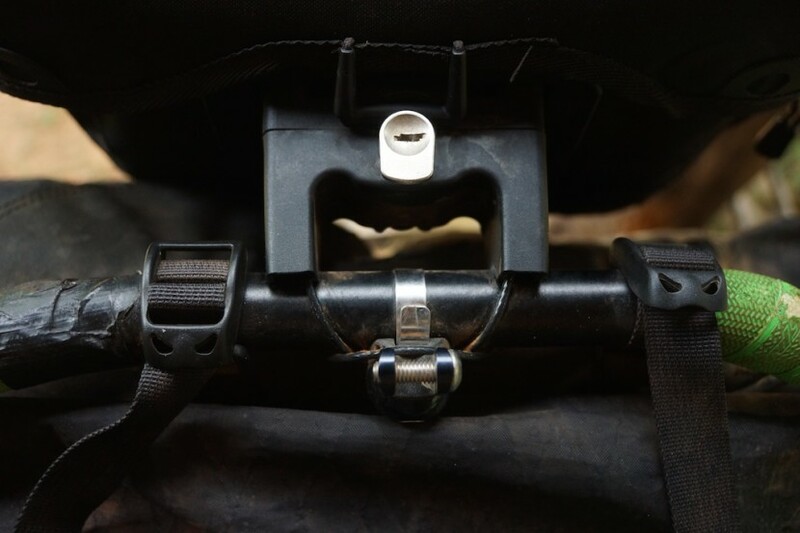 How did you attach the mounting bracket for the Ortlieb Ultimate 6 handlebar bag to the Jones Loop H-bar? Hey Colleen, great question. The short answer is we attached the mounting bracket to a Schmidt H-Bar headlight mount from Peter White Cycles. 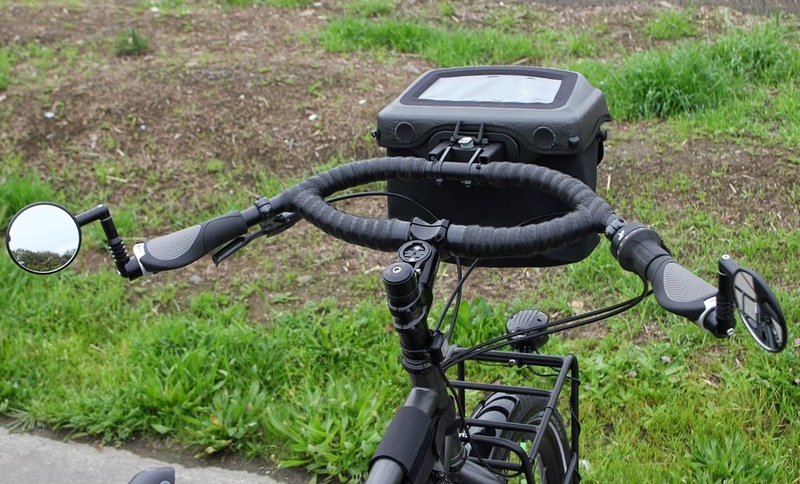 Initially, we planned to attach our headlights to the handlebars using this mount until we discovered that in this position, the light would be partially blocked by the handlebar bag. We didn’t have time to return the now useless mounts, but quickly found a new use for them. We installed them in the middle of the H-Bar loop and attached the Ortlieb mounting bracket to the Schmidt mount. We took some pictures to show you how we did it. The headlight H-Bar mounts are expensive ($40 each), so ours is not the cheapest solution, but it does work. Sometimes the mounting bracket slips down a little, but that might be because I didn’t pull the cable tight enough. 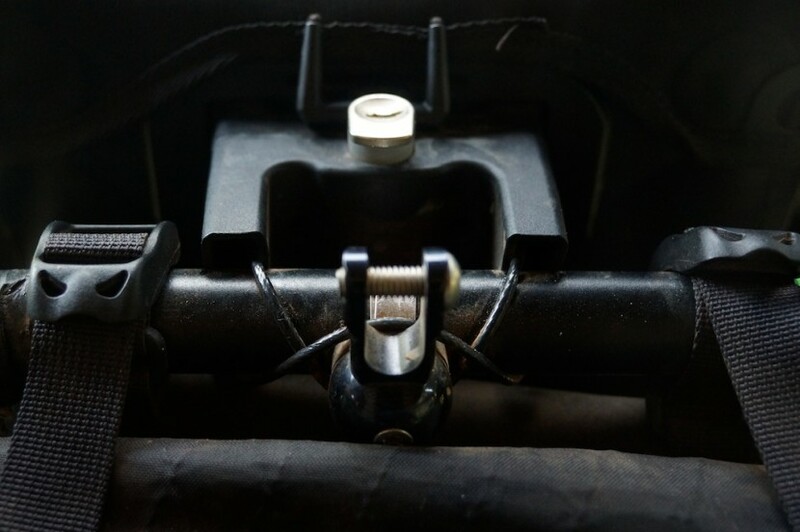 A cheap alternative to the Schmidt mount might be a simple hose clamp (or two). The Schmidt mount is installed pretty much the same way–you wrap the steel band around the bar and tighten it down with a screw. With the hose clamp, you could use the screw part of the clamp as an anchor point, wrapping the cable around it to brace the mounting bracket. The best part is these clamps cost less than a dollar, and if looks matter, you could always paint them to match your handlebars so they don’t stand out as much. I found another cheap solution on a bike build by Cycle Monkey. The alternative mounting bracket he’s referring to is an old Ortlieb Ultimate 3 mounting bracket, which has been discontinued. 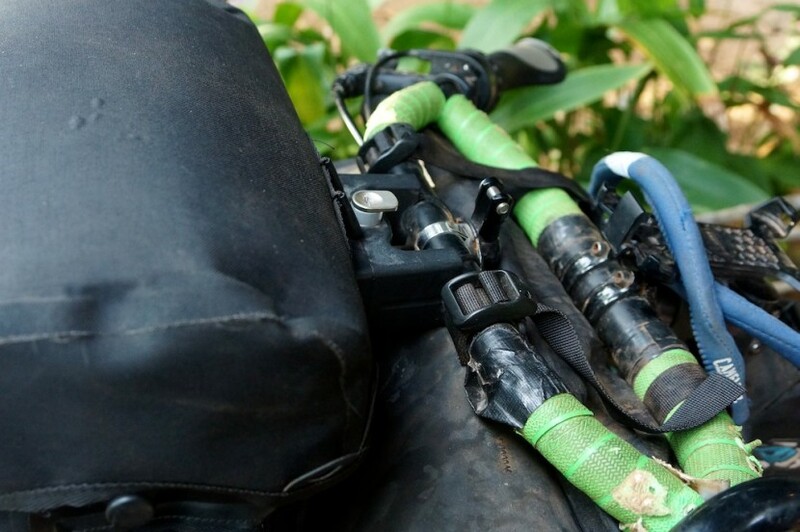 If you don’t mind putting a hole in your handlebars, your best bet might be the drill and bolt option. Wow! Thanks so much! I like the hose clamp idea, and I’m not picky about looks!